The new OMEGA Speedmaster CK2998 Limited Edition continues the evolution of one of its most popular watch designs from the original OMEGA CK2998 which was released in 1959. The original model has become one of the most sought-after vintage Speedmasters for collectors worldwide. This particular watch was also the “first OMEGA in space” when in 1962, astronaut Walter “Wally” Schirra made history during the Sigma 7 mission of the Mercury programme while wearing his own personal Speedmaster CK 2998. 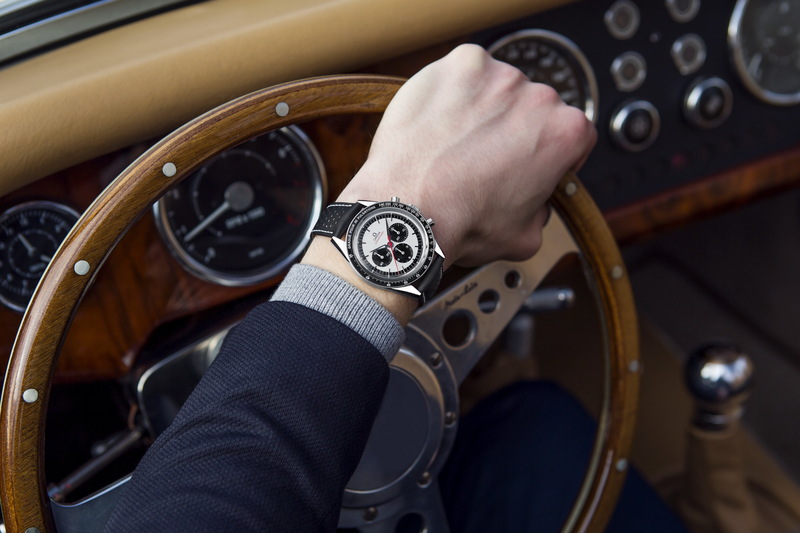 It has always had a large following amongst classic timepiece lovers, with its alpha hands, symmetrical case and dark bezel.A total of 2,998 of these collectable watches have been created, with each unique Limited Edition number found on the caseback, along with the original Seahorse medallion and a “SPEEDMASTER” engraving. Many of the iconic features from the classic watch have been retained while several updates to its stunning design have been implemented in order to reach new fans. All three subdials are black, as well as the minutes track and the polished ceramic bezel with its white enamel pulsometer scale. There is also a black leather strap with a white rubber interior that has been micro-perforated. The watch features a pulsometer scale, used to check a person’s heartbeat per minute and has particular relevance to the CK2998. Customers were able to choose from four different versions of the timing bezel (including tachymeter, pulsometer, decimal or telemeter) with the original model. Therefore, the new model continues the design heritage. Housing a number of intricate features, the polished and brushed stainless steel case is complemented by a lightly sand-blasted silvery dial. Blackened “Alpha” hands are used for the hours and minutes and sand-blasted rhodium-plated “Alpha” hands are used on the sub-dials. The chronograph seconds hand comes in varnished red. For increased visibility in dark conditions, the hour and minute hands, as well as the blackened indexes, also include Super-LumiNova. The heritage of this model also continues on the inside. Each Limited Edition is driven by the OMEGA Calibre 1861, a movement that is deeply rooted in the history of OMEGA’s Moonwatch. The adventure continues for wearers of the new OMEGA Speedmaster CK2998 Limited Edition. Discover OMEGA timepieces at Omega Boutique Central Embassy, Siam Paragon and The Emporium. For more information, please visit www.omegawatches.com.